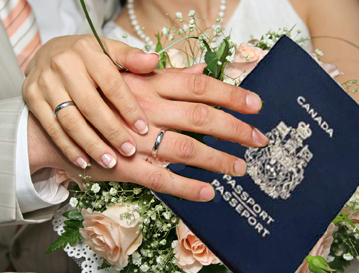 Can Scam Immigration Marriage Be Annulled? In this Blog we often focus on divorce, and its fall-out. A topic that doesn’t come up often, is the effect of immigration fraud on the validity of a marriage. In this case, the husband had been tricked into marriage by the putative wife. His lawyer argued that if for none other than public policy grounds, immigration fraud should be a ground for annulment to discourage anyone from “jumping the queue” in the Canadian immigration system. It would also deprive the fraudster from being eligible for certain marriage-based remedies under Ontario family law. Certain individuals may be motivated by the belief that for cultural and/or personal reasons an annulment is preferable to a divorce. While these beliefs may be sincerely held, I see no good reason to recognize a legal right to an annulment. The courts are already having difficulty dealing with the existing volume of pressing criminal, family and civil matters. I see no public interest in adding to the caseload if the principal motivation relates to saving face or conceptions of personal or family honour. More to the point, the court concluded that it was bound by several existing Ontario Court of Appeal decisions holding that immigration fraud cannot be relied on to grant an annulment, even where – as here – one spouse had tricked the other into marriage for the sole purpose of acquiring citizenship status in Canada. If the prevailing caselaw on this point was ripe for being overturned based on public policy and related arguments, then this was a task that only the Court of Appeal itself could do. In short, the court concluded that the grounds for granting an annulment have already been firmly set by legislation; there was no reason to try to expand them to include immigration fraud even where it involved deception of one spouse by the other. ← Wednesday’s Video Clip: How Long Does Child Support Continue in Ontario?